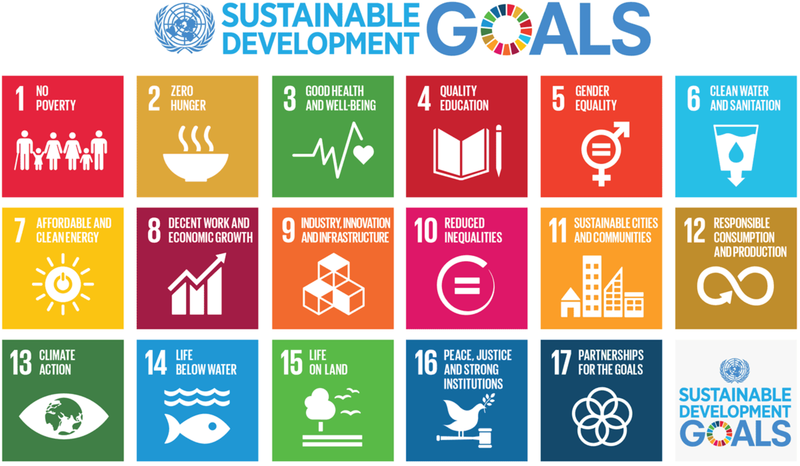 PEPY has implemented numbers of activities to take part in the journey to achieving SDGs. 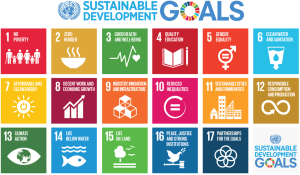 In our classroom, we expose our students to the concepts of SDGs and connect them to opportunities to get involved. In 2014, I had a chance to join Asia-Pacific Leadership Programme on Environment for Sustainable Development in China, 2014. From the program I adopted one of the lesson learned in the programme, ‘Pyramid 2030: System Thinking’ to run with the scholarship students here at the Learning Center. The lesson encourages the participants to think about the world and the problems that they face in their daily life are interconnected. The connection was linked through the four dimensions of a compass: Nature (N), Society (S), Economic (E), and Well-being (W). The students were divided into four groups, representing each dimension. The division allows the students to focus and at the same time learn how the issues related to their dimension related to the issues from the other dimensions. Once the students learned about the linkage of different problems, they proposed ideas that can produce multiple impacts for the society. We also encourage the students to compete each other’s ideas. Each team has a chance to pitch their ideas for the whole group. By the end of the workshop, the students vote for one great idea for future implementation community project. The N group won the final round. Their project was focusing on planting trees in their community because they realize that there were fewer trees in their community. People are not aware of the consequences of having few numbers of trees. They proposed to do tree planting in one of the primary school in their village which only has two trees at the moment. I also got a chance to connect with the Obama Foundation. 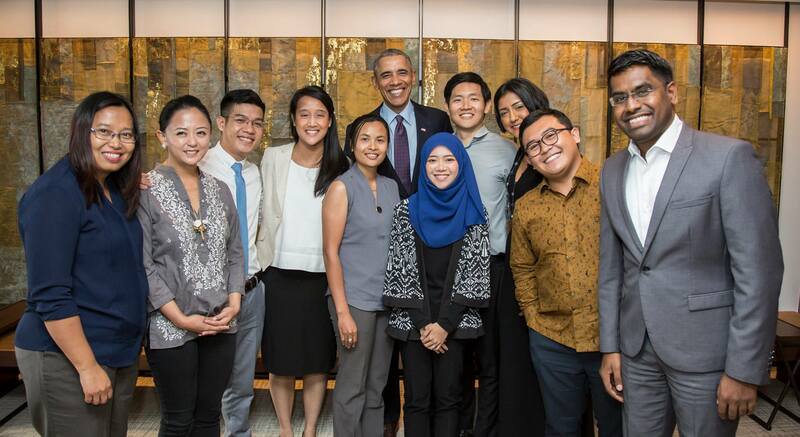 Together with other representatives from ASEAN countries to meet the former president, Barack Obama in Singapore last March in order to discuss about current challenges and possibilities of future collaboration across the countries. This idea was initiated by the Obama Foundation, giving PEPY a chance to play our role in the international setting, getting involved and learning about the work of different organizations around theme of the SDGs, precisely, partnership, leadership, ownership, environment, gender equality, education and global citizenship. 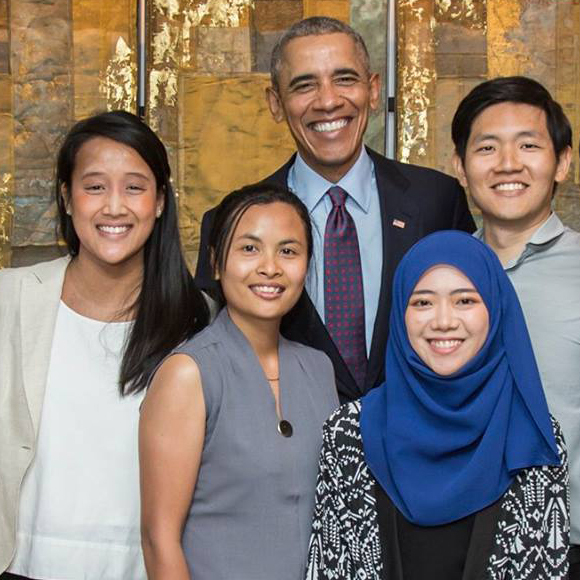 As quoted by Obama.org, “We cannot solve the challenges of our time unless we solve them together.” Getting involved with this inspirational and impactful network allows PEPY to share its story to the world and inspire more grassroots people to starting thinking and acting for the current and future generation. Touching base on partnerships, PEPY is also currently partnered with international schools to exchange ideas and increase cultural understanding. The partnership is reciprocal and fair. For example, DPETNS is one of our partners in Ireland. The exchange of this partnership takes place every year. In March, PEPY has sent 2 staff representatives and two students to join a three-week exchange in Ireland. We share our culture, education system, daily life, and PEPY’s work. In summer, approximately four to five teachers from Ireland come over to Cambodia for three weeks to provide different workshop focusing on global citizenship, SDGs awareness raising, positive mental health and students’ needs based training. Through this partnership, the communities both in Cambodia and Ireland learn so much about each other. At the same time, PEPY also hosts different groups of students from all around the world to meet with our students to exchange culture, learning experience, and expand their world view. We hope to continue our work to achieve SDGs and we also encourage different stakeholders to firmly play their roles because our future and the future of our children is place in our hand. We are their hope, and we never let them down.